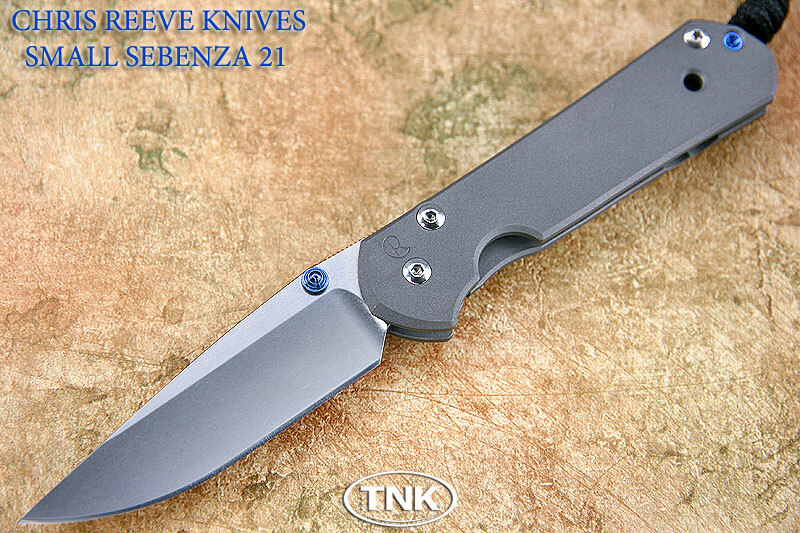 SEBENZA 21 WITH DOUBLE BLUE LUGS - IDAHO MADE. Blue Anodized Titanium Thumb lug. Thumb notches, phosphor-bronze washers, bead blast titanium rear handle with integral side-lock. Blast Titanium front handle . Polished stainless screws, pins & pivot. Anodized Blue Titanium backspacer washer. Thonghole, bead blast titanium clip.